Dogs are natural born explorers – the majority of their brain answers to their nose, so its no wonder they let it lead the way! Add that to the fact that most dogs LOVE being outside! Its a big wide world for them to explore, and we (as their leash-holders) are merely standing in the way. But what if it didn’t have to be that way? 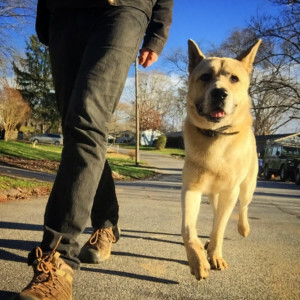 What if I told you that you could have a lovely, calm, even-paced stroll with your pup, and all it took was a little bit of discipline and consistency? To get yourself off to a good start, you’ll need the right supplies. 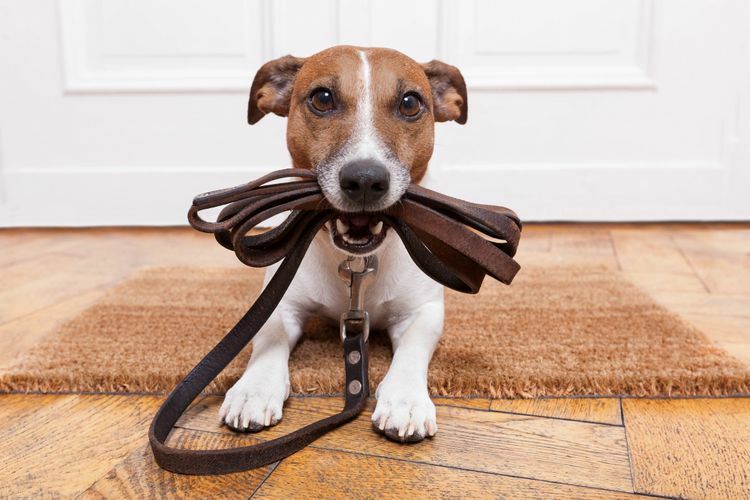 Firstly, as we’ve mentioned in several other posts, it is important to have the appropriate leash and harness for your dog. If you’ve got a puller on your hands, your best choices for a harness are a head-halter or a front-clip harness. 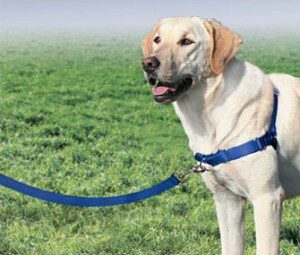 Two of my personal favorite brands respectively are Gentle Leader and Easy Walk. These pieces of equipment are toted by the American Kennel Club as the most secure harnesses which provide the best control to the walker. Additionally, these are positive training methods and have been proven to be much more effective than negative reinforcement methods such as prong or choke collars. Next, you’re going to want to find a leash you like. a 6-foot flat leash seems to be the lucky ticket when training loose leash walking. 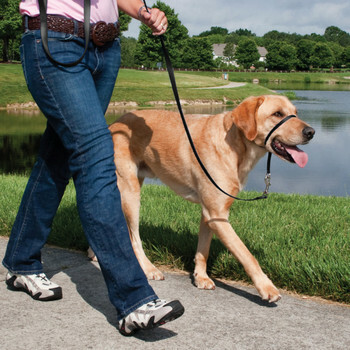 Any leash longer than that gives the control to the dog, rather than the walker, since keeping the dog close to you is imperative for training purposes. Any kind of flexi or elasti-leash will not be beneficial to this type of training. 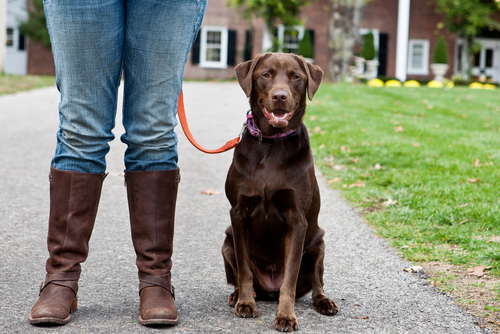 Below, I’ve outlined two exercises to work on with your pup when trying to solidify loose-leash walking! These exercises should only be focused on for 10-15 minute intervals to keep the dog (and the person) focused on the task at hand! To build a solid foundation for loose-leash walking, you should first begin with off-leash work. I realize it sounds counterintuitive, but it is imperative to start with the basics and begin to build trust with your pup! So, to begin off-leash work: it is great to do this outside in a fenced in area, but if you do not have access to one, then inside the house, in a hallway, will work too. I first walk around and ignore my dog. Then, I will call them while being very excited. When they come to my side, I will reward them with a small, but enticing treat (like a hot dog piece, or some cheese). While I continue to walk, I will talk to my dog in an upbeat voice encouraging them to stay at my side. Every couple of steps I will reward my dog with a small treat. After about 10 to 15 steps, I go back to ignoring my dog allowing them go back to whatever they were doing previously. After a minute or two I will call them back and repeat the process. By doing this, your dog will soon learn that great things come when they are walking with you at your side! The next exercise should be done while you are out on a walk with your dog. When your dog pulls they are doing so because they want to move in the forward direction. 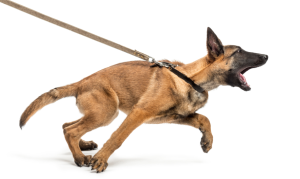 So when your dog starts pulling, you should stop and take several steps backwards. While stepping backwards, call your dog in a cheerful voice and reward them when they return to your side. By doing this, you are taking the dog away from the forward direction in which they were trying to go. Start moving forward again. If your dog continues forward at your side then reward them every 3 to 4 steps with a treat. If they begin to pull forward again, repeat the above steps. Your dog will learn that in order to move forward, they must not pull on the leash. As your dog becomes better at this exercise, start increasing the number of steps taken before giving the reward for staying at your side. Once your dog is able to walk politely by your side, continue to reward but do so at random intervals to keep them guessing. Remember that in order for this training method to work, you must do it every time your dog pulls. If they are allowed to pull on some occasions, then it will only confuse them. It is a great idea to pair this activity with clicker training! A clicker marks the dogs behavior quickly and efficiently, and can easily show them when they do something right, even if just for a split second. As slow, clumsy humans, we aren’t always efficient in our treat-giving, but we can be much more so with our clicking. Our challenge to you: give these exercises a try with your dog, and let us know if you see a change!